The Game has never been one to hold his tongue. For his enemies, he often reserved bars by the literal hundreds. Fans likely recall his extensive "G-Unot" campaign, which found him battling the hydra-like heads of 50 Cent, Lloyd Banks, Young Buck, and Tony Yayo. Though 50's superstar power proved a difficult obstacle, The Game's unrelenting lyrical assault had many neutral fans skewing toward his side of the battlements. 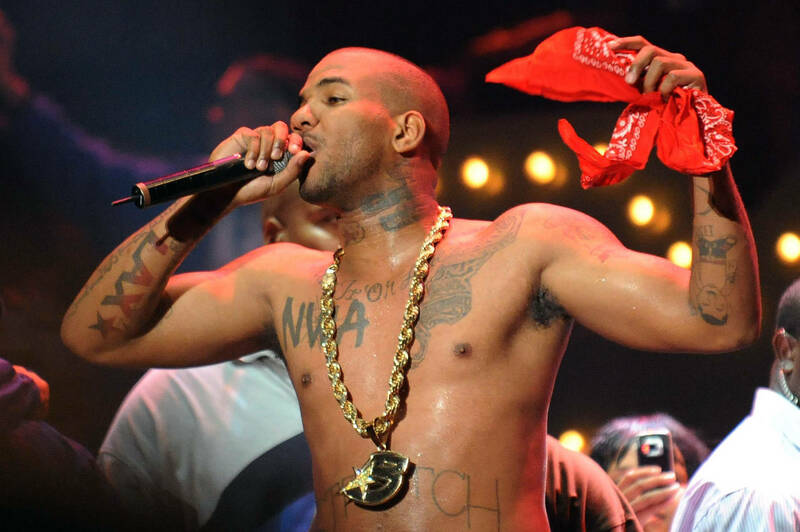 Since then, Game's reputation has been that of a merciless foe, violent in his tongue lashings and unforgiving in his rhetoric; he recently painted X-rated portraits of Kim Kardashian in a song, and he considers Kanye West to be a friend. When 21 Savage was trapped in a hellish detention center, Tomi Lahren offered up a callous two cents. "I got one, two, three, four, five, six, seven, eight ICE agents ready to deport ya," she Tweeted, drawing the combined wrath of the hip-hop community. No more so than Game, who unleashed a vitriolic rant upon the conservative pundit, who likely never faced an opponent of his nature. Upon receiving a vote of support from 21 Savage's mother, Game doubled down on his anti-Lahren rhetoric, penning a lengthy and venomous teardown of Lahren's character. The rant prompted Lahren to invoke the Twitter feminists she so despises, only to be met with proverbial crickets. Instead, she clapped back at Game by attempting to bring the tear-down into the socio-political sphere. What she failed to realize, however, is that Game is operating under the rules of the rap game: disrespect a rapper, get a rapper's answer. Still, Lahren was quick to bring 50 Cent into the fold, making it clear that she was never onboard with the "G-Unot" movement all those years ago. "Didn’t @50cent shut you up years ago? Sit down," she writes, likely unaware that 50 never misses an opportunity to meme. Tomi decided to since double down, taking her argument to Fox News. In a segment titled "Game Over," Lahren addressed Game's rant. "But there was one vile rapper -- I use the word “rapper” very loosely because he hasn’t really been relevant in 10 years -- who calls himself “The Game," she begins. "The things he said about me were perhaps the ugliest and most repulsive things I have ever read. And I’ve read A LOT of nasty things about myself." The situation appears to be shaping up into an interesting battle, given the nature of their respective fields. A gangster rapper beefing with a political, right-wing pundit, what can go wrong? It doesn't appear that Game feels any remorse for his conduct, despite having since-deleted the Lahren-bashing post. Perhaps we can expect a few last-minute lyrical additions to the impending Born To Rap. Where do you stand on this one? Have lines been crossed, or are these simply side-effects of the games they have chosen to play?